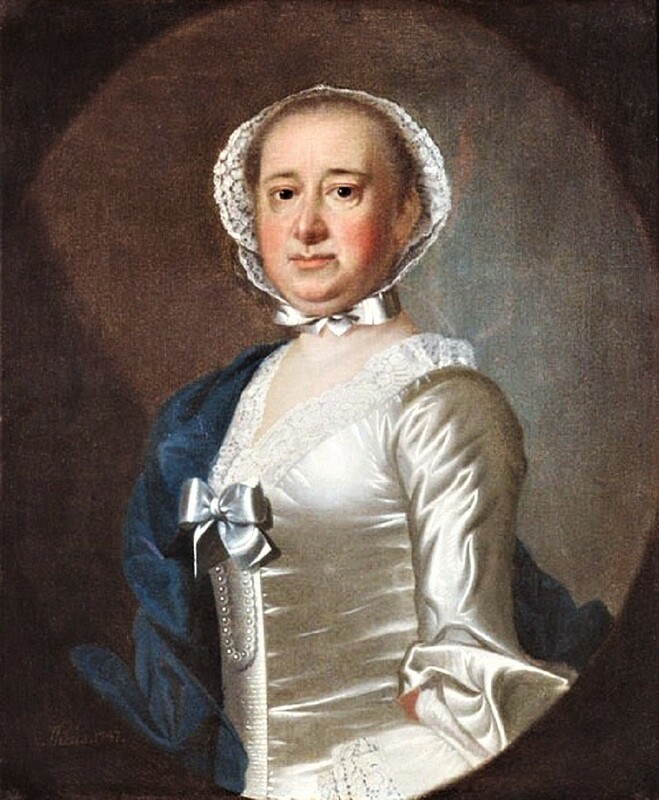 Anne Costantia Ashby (1705-1782), daughter of John "Turner" Ashby (1675-1727) and Constantia Broughton (1677-1720), was born 10 November 1705, in Charleston, South Carolina, and died 24 April 1782 in Charleston County, South Carolina. She married Gabriel Edward Manigault (1704-1781) on 29 April 1730 in Charleston, South Carolina, son of Pierre Manigault and Judith Gitton. Anne maintained a diary from 1754 until 1781. She was a patron of the arts and entertained visiting artists in her home, as recorded in her diary. Anne Ashby and Gabriel Manigault had a son Peter Manigault, b. 10 October 1731, Charleston, South Carolina, d. 12 November 1773, London, England. Manigault, Ann, and Mabel L. Webber. “Extracts from the Journal of Mrs. Ann Manigault: 1754-1781.” The South Carolina Historical and Genealogical Magazine, vol. 20, no. 1, 1919, pp. 57–63.